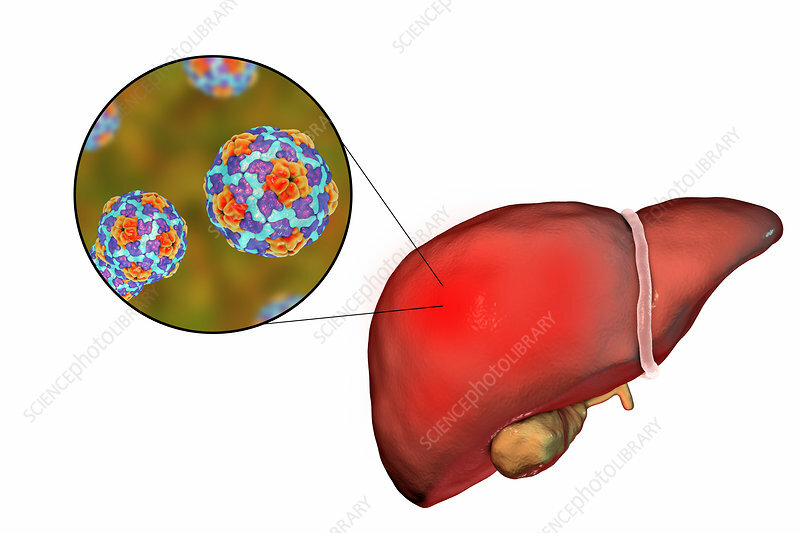 Liver with hepatitis and close-up view of hepatitis A viruses, illustration. Hepatitis A is transmitted through infected food or drink. Symptoms include influenza-like symptoms of fever and sickness, along with jaundice.